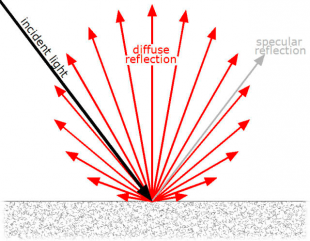 SphereOptics is the supplier of diffuse reflecting material Zenith Polymer. Manufactured in Germany, Zenith Polymer is a PTFE-based material that delivers the highest diffuse (Lambertian) reflectance in the spectral range 250 nm to 2500 nm. 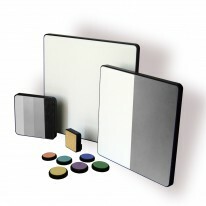 The material is resistant to harsh environments and exposures and its unique optical properties, when produced under strict clean conditions, makes it the ideal lambertian reflection material for standards, targets and laser cavities. SphereOptics is also the distributor for Labsphere´s Spectralon diffuse reflection material, which is manufactured in the USA. Spectralon has very similar optical properties as Zenith Polymer and both materials, Zenith Polymer and Spectralon, feature the highest diffuse reflectance available on the market. Products based on Zenith Polymer and Spectralon are reflectance standards (Zenith Polymer with metric dimensions; Spectralon with inch dimensions), full material reflectance targets, wavelength standards, integration spheres and OEM reflector parts. Unique products available using Zenith Polymer are Zenith Lite reflectance targets, white and grey diffuser material and reflection foils. Additional products based on Spectralon, are colour and fluorescence standards. SphereOptics offers NIST and PTB traceable calibrations for both materials. Further services include cleaning, attaching double-sided tap and stamping is provided by SphereOptics. Zenith Polymer and Spectralon is a hydrophobic material, which means it repels water, however is sensitive to contamination from organic and hydrocarbon based substances, such as oils (fingerprints), soaps, and solvents. The material should always be handled with latex gloves, sterile plastic bags).Tissues and other pater products should not be used to contact the material as they may leave behind residual particles that can alter the optical properties of the material. The only liquids that may safely contact the material are clean water (distilled water recommended) and optical grade Isopropyl alcohol.